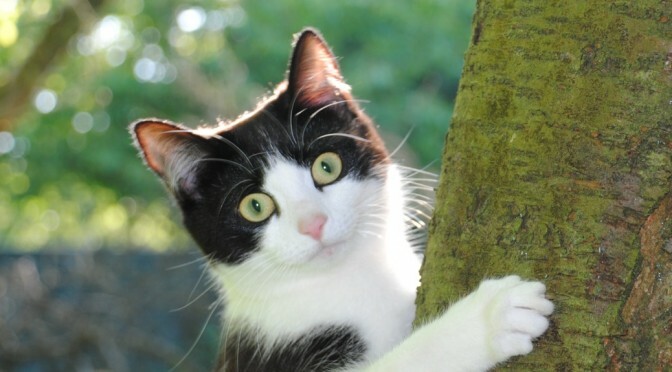 Today, the RNIB announced a trial program of seeing-eye “mobility” cats, “Guide Cats for the Blind“, or CatNav, for the blind, partially sighted, and visually impaired, alongside their Guide Dogs for the Blind training. 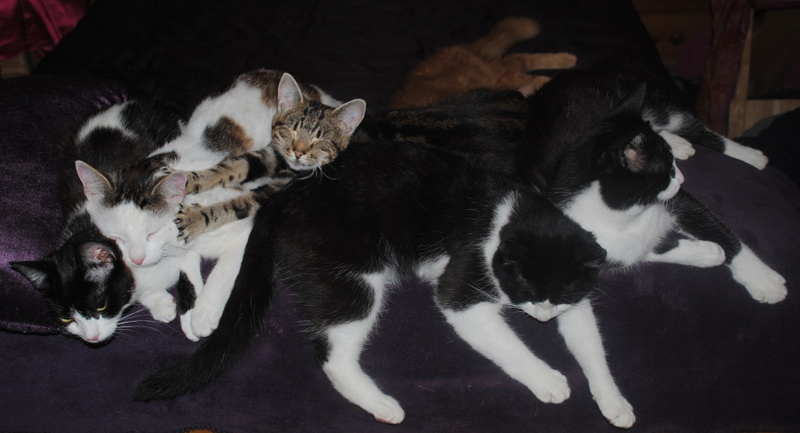 Sleeping cat pile, more CatNap than CanNav! After all, we have cats’ eyes in the road to guide car drivers at night, why not by day as well? Cat’s eyes were introduced as far back as 1933 in Yorkshire, in the UK, and are now used the world over. Whilst the cat’s eyes in our roads never sleep, any attempt at CatNav is liable to be more prone to falling asleep for 22 hours a day, CatNap! As recent TV documentaries using GPS trackers have also shown, cats tend to go round in circles hunting, retracing, guarding and marking their territory. 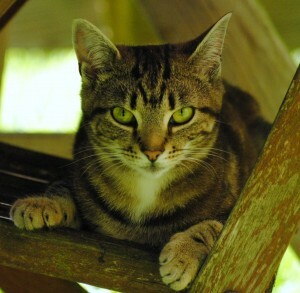 The cats are being rigorously disciplined to avoid distractions such as mice, birds and shiny lights, like Puss in Boots was prone to in the Shrek movies franchise. Les Barker described any attempt to harness the intelligence of cats as Guide Cats for the Blind, as futile. “The best place for a blind man isn’t half-way up a curtain” or on the roof at 4am! “Only a fool would follow … Guide cats for the blind“. to harness for mankind, the intelligence of cats. You’ve made a basic error, now let me expound. It’s a perfect place for me, but what’s in it for them?